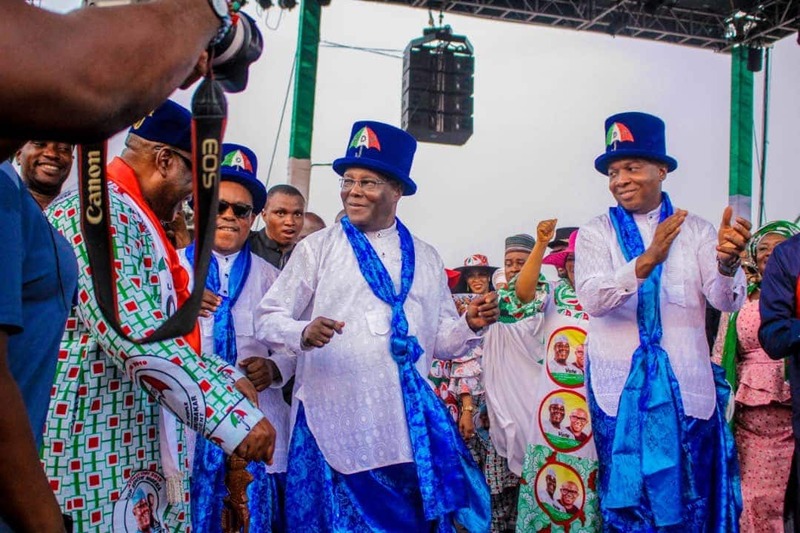 Barely a week after the Northern Elders Forum announced its support for the Peoples Democratic Party Presidential candidate, Atiku Abubakar, one of the leaders of the group, Junaid Muhammed, has come out to deny the endorsement. Muhammed, a second republic lawmaker, said that the endorsement for Atiku was faked and ochestrated by few members of the forum led by Prof. Ango Abdullahi. In an interview with The Nation, Muhammed said that the group is yet to throw its support behind any presidential candidate. He said: “There was no time we discussed endorsement of any candidate in NEF. What was announced was a personal decision of Prof. Ango Abdullahi. The whole thing was cooked up; it was faked. “Whether Buhari is doing well or not, Atiku is no choice. If you are talking about integrity, Atiku is nowhere compared to Buhari. If you are talking about exposure, Atiku was VP and had a rocky relationship with his boss, President Olusegun Obasanjo. If you have to endorse anybody, you need to explain the reason to the people of the North. But no reason was given. “I have been critical of the President, but nobody should use my name to endorse Atiku because Prof. Ango or any other person does not have the right to take the North for a ride. “How can anybody announce that a place that consists of a land mass of over 60 per cent of Nigeria has decided to embrace a unanimous candidate? People who issue statements should do so in their own names; not in the name of any organisation." Muhammed also claimed that the endorsment has triggered crisis in the forum. Meanwhile, Legit.ng earlier reported that a former president of the Court of Appeal and chairman of Katsina State Senior Citizens Forum, Justice Mamman Nasir, on Wednesday, February 6, by a faction of the Northern Elders Forum (NEF) for the 2019 presidential election. According to Leadership, Nasir said a faction of the elders’ forum cannot speak for the north on the right choice of a presidential candidate to endorse.